Content copyright 2011-2013. Shaddai Kennels All rights reserved. My name is Micah Watkins and I live in the beautiful Blue Mountains (Stoney Mtn.) of Pennsylvania. I have owned and loved Boxers for over 30 years but it has only been in the last few years that I have gotten into the show aspect of it. 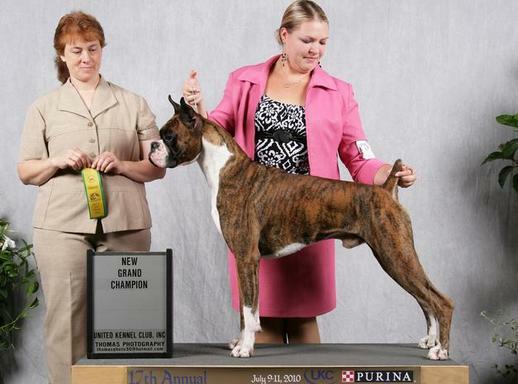 My love affair started when my husband introduced me to the boxer breed. I remember going to look at an adult boxer and they also had a litter of babies. We left with the adult boxer and a puppy. Unfortunately that baby girl only lived to 7 years of age and died. Guess from the vet was heart attack. I was heart broken and there was an emptiness in side that could not be filled. For many years I never did anything without a kid or a dog under my feet, so the search for another family member began. This search took me to our next one, Callie. 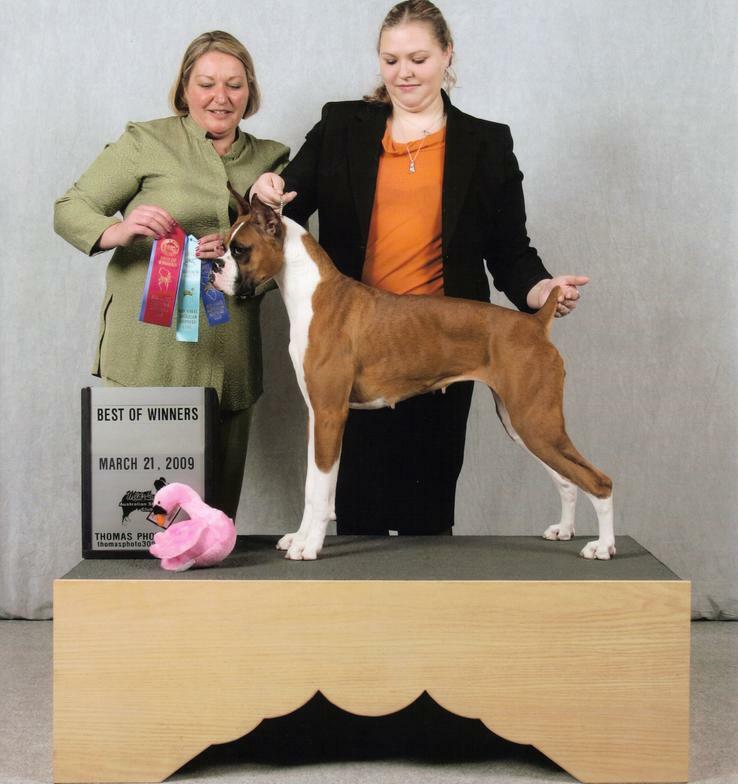 It also put me into contact with Gail Metzger at Gamet's Boxers where Gail gave me a wonderful senior "Adrian". I also had purchased a wonderful boy from her "Joshua" that had a wonderful temperment. I learned several things from Gail but was not really ready for the show ring life at that point. As we moved from place to place due to my husbands job, we landed in Indiana where I was able to be put in contact with Valerie Rosenblum from Gold Medal Boxers. Through that meeting I was able to breed a litter out of Carter which produced some very nice puppies. Unfortunately, I still wasn't ready for the show ring. After moving to Pennsylvania, Callie lived to a nice long age of 13 and two of her babies, Hildie and Heidi lived to 12 and 11. Hildie and Heidi was lost to DM. After loosing Hildie I really didn't think I wanted another dog, but my kids thought otherwise. 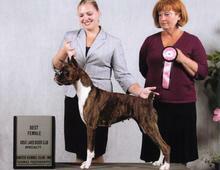 My daughter came in contact with Michelle Cramblett of Charron's Boxers and found Carmel. With Michelle's help I did enter the show world. Health testing is very important to me as well as a good sound temperament. All my Boxers are socialized at an early age and lov​e everyone. My love of boxers has migrated down to my kids...My son Brad has a wonderful pet friend named Ares and my oldest daughter Renette has a wonderful pet friend named Port. I am also white boxer friendly. I believe eventho a dog doesn't meet the standard of the breed they can also make wonderful pets and bless someone that has the honor of making them their friend. My ultimate goal with my dogs is to get them therapy dog certified. There is nothing more satisfying than to watch the face of someone that is being visited by a dog and watch them open up to the dogs where they may not open up to humans. It is an awesome experience.